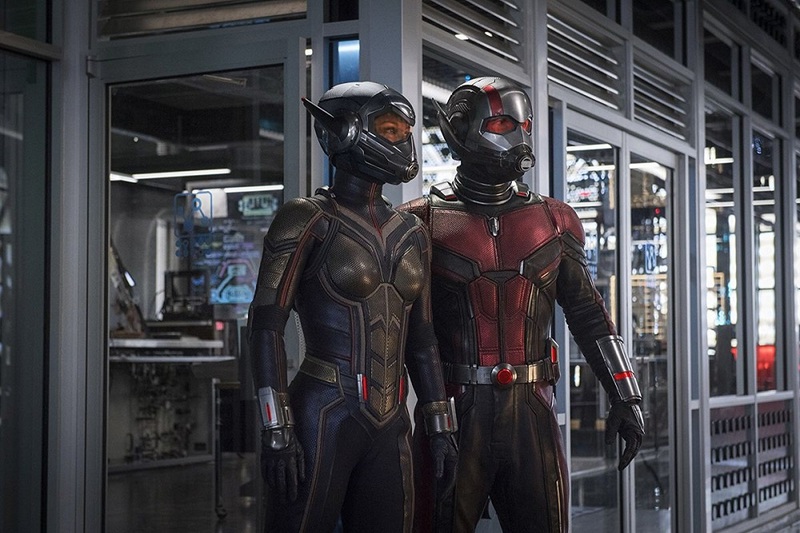 If you were devastated by Avengers: Infinity War, Ant-Man and The Wasp is here to cleanse your palate and help make you feel better. Until you get to the post-credit scenes anyway. I have to admit something. This is the first Marvel Studios movie I didn’t see in the theater. Not for any real reason. I just never got up the energy to brave the masses and buy a ticket. Well, that’s not entirely true. Ant-Man and The Wasp is one of those films that you don’t even have to see to know what happens. There are twists and turns, big action set-pieces, lots of engaging and enjoyable humor, a hilarious Michael Pena storytelling bit, some heartwarming moments, and then a couple of post-credit scenes to connect it to the main MCU and then provide a moment of fluff at the very end. Which isn’t to say that it’s not fun. Ant-Man and The Wasp is totally fun and exciting and gives us everything that we want from an Ant-Man and The Wasp movie. But there’s not a lot of urgency to the whole thing despite the in-narrative rising tension. It’s not quite a heist film this time around but plays more like an Elmore Leonard crime story (as director Peyton Reed mentions in the commentary track) with less violence and more giant ants. Since taking part in Captain America’s rebellion during Civil War, Scott Lange (Paul Rudd) has been placed on house arrest while Hank Pym (Michael Douglas) and Hope Van Dyne (Evangeline Lilly) have had to go on the run with their amazing shrinking laboratory and are, thus, pissed at Scott. 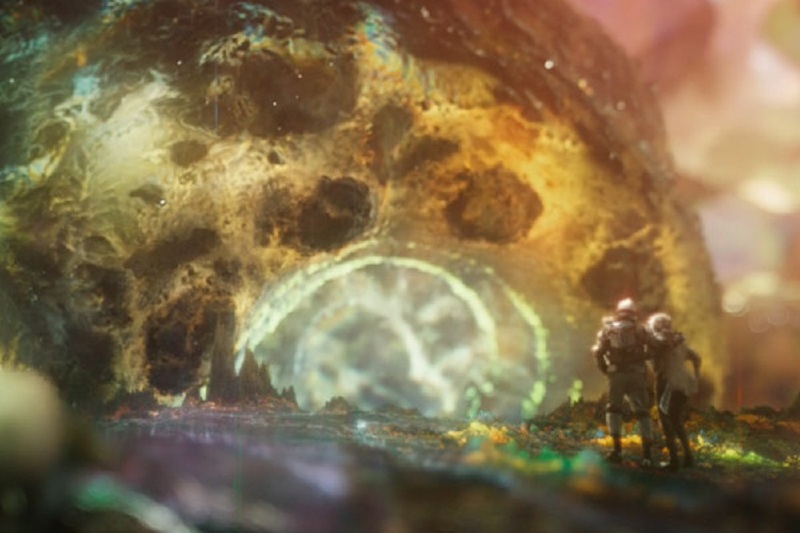 Since he made it back from the Quantum Realm at the climax of the first film, Hank and Hope think there’s a chance to rescue Janet (Michelle Pfeiffer) and are in the process of building a Quantum Tunnel that will take them there. That means buying black market equipment from Sonny Burch (Walton Goggins), a low-level criminal who dreams of going big time. At the same time, a mysterious character called Ghost (Hannah John-Kamen), is also on the trail of Quantum technology. We also get a nice guest spot by Laurence Fishburne as Dr. Bill Foster, an ex-partner of Hank’s with a lot of hostility toward the original Ant-Man. The script is lively and fast-paced. The action is kinetic and nicely choreographed to work in a lot of shrinking and growing effects. The performances are all naturalistic and everybody gets to have a lot more fun than they did the first time around. It’s also nice to have a villain who isn’t a carbon copy of our heroes. Ghost can phase in and out of her corporeal form, passing through walls, cars, and people at will. This, combined with the shrinking and growing, make the action sequences featuring Ghost, Ant-Man, and Wasp all the more exciting and fun to watch. Plus, there are family heartstrings to be pulled! But it’s not schmaltzy! Abby Ryder Fortson, who plays Scott’s daughter Cassie, is amazing. 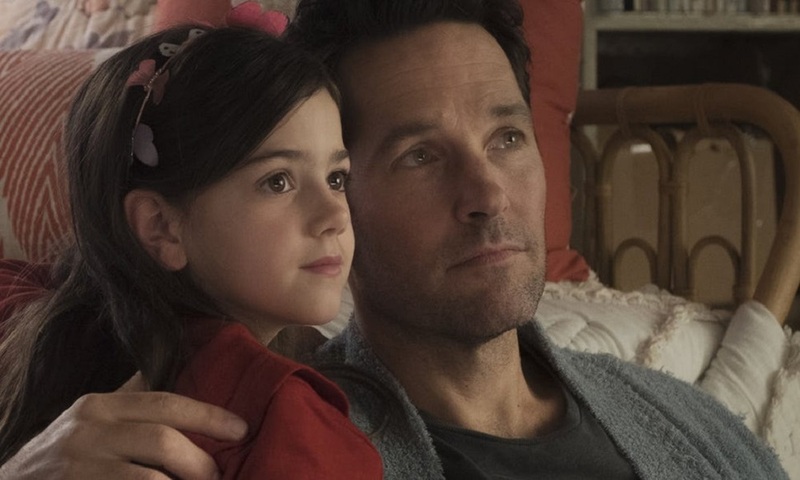 Her chemistry with Paul Rudd is about as good as it could be and their scenes resonate emotionally while also building upon the thematic attention the script pays to father/daughter relationships. It doesn’t really say much about those relationships, but it does pay attention to them. If I had any complaint, it’s just that Michelle Pfeiffer is a bit wasted. There’s a ton of build-up to saving her, and then once she’s back, the movie’s over. I would have liked to see a bit more of her time in the Quantum Realm (see my comments below about one of the deleted scenes) or maybe more exploration of the weird new quantum powers she exhibits in her five minutes of screen time. 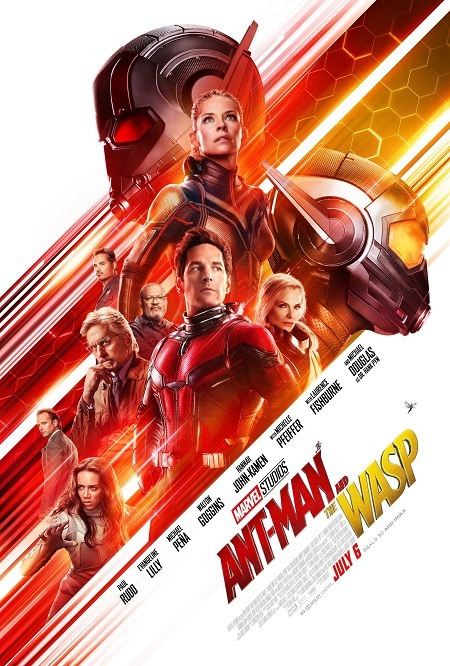 So, basically, if you liked the first Ant-Man movie, you’ll probably enjoy this one even more as it’s generally a better film that stays in the wheelhouse of the first one. It also does a good job of setting up a broader, more interesting Ant-Man family to play with in future films. If everybody survives Thanos’ snap. Back in the Ant Suit: Scott Lang – While none of the featurettes really provide a lot of insight into the actual production, these first three make it clear that everybody had a great time making this film. The big takeaway from this one is that Paul Rudd is a very charming and funny guy. There’s no drama here, as everybody seems to love the man. One interesting insight gained is that Rudd is trying to channel Bill Murray’s energy, not just in this role, but in the way he approaches the business. So far, it looks like it’s working. A Suit of Her Own: The Wasp – The most impressive thing about Evangeline Lilly’s approach to playing Hope is the determination she brings to the role. She’s extremely confident and focused and it shows in her performance. The most impressive thing I learned in this featurette is that there was four to five weeks of stunt training just for the kitchen fight (which, admittedly, is a highlight). 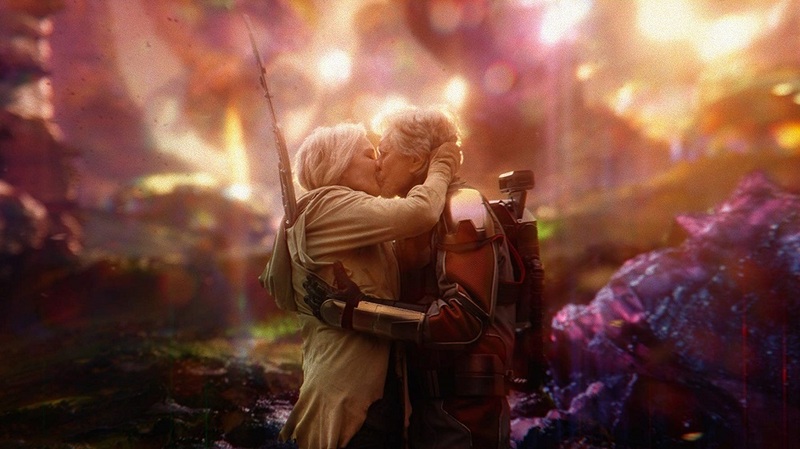 Quantum Perspective: The VFX and Production Design of Ant-Man and The Wasp – If you get tired of the actors kissing each other’s asses, this featurette will be a breath of fresh air. There’s a healthy bit of discussion about shooting in and around Atlanta while making it look like San Francisco and a good look at the design of Pym’s lab and the Quantum Tunnel in particular. I have to admit, I didn’t realize that the lab had a bunch of overgrown paperclips and radio knobs playing parts in Pym’s technology. 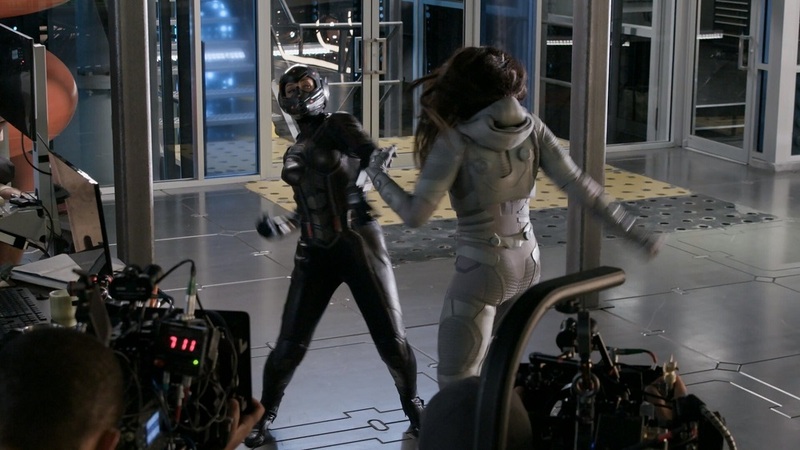 Gag Reel – There was a LOT of dancing going on behind the scenes. Stan Lee Outtakes – These are actually pretty hilarious as we just get scene after scene of Stan Lee doing different takes on the shrinking of his car. I loved this. Tim Heidecker Outttakes – Tim Heidecker (from Tim & Eric) cameos as a whale tour guide and there are some clever bits here, but it didn’t really make me laugh. “Worlds Upon Worlds” – Usually the deleted scenes are forgettable or it’s obvious why they weren’t included in the final cut. This one should have been in the film. It’s a short scene of Janet and Hank making their way through the Quantum Landscape on their way back to the rescue pod and it’s fantastic. It gives Pfeiffer’s Janet more attention and highlights her character in a way that the finished film didn’t. Plus, it gives us a look at the Quantum Realm that implies a much more complex and sophisticated social, and maybe political (?) structures than we’ve seen before. It makes me wish Marvel had the rights to the Micronauts. “Sonny’s on the trail” – This one is back to normal. It’s not a scene that was needed at all, unless you’re a fan of comedian Dave Allen (Naked Trucker and T-Bones Show, Freaks and Geeks). Or if you like Dianetics jokes that really aren’t funny. Director’s Commentary by Peyton Reed – This is a treat. Reed is funny and informative, providing insight into all aspects of the production from casting (Michelle Pfeiffer was his original dream casting while filming the first Ant-Man film) to making Georgia substitute for San Francisco to characterizations to inspirations for design and plot elements. I highly recommend listening to this one, and as the credits role and we’re waiting for that final scene, he has a lot of fun with potential spoilers for Avengers 4 and the future of the MCU.